One of the core missions of the Provost’s Office is to support Wake Forest University faculty in their research and scholarly endeavors. In support of this mission, a number of funding opportunities are available through the Provost’s Office. The Provost’s Office announces a faculty development award to support one week of research and writing from June 30- July 7, 2019 at the Summer Research Institute conducted by Harris Manchester at Oxford University. All room and board expenses, as well as economy airfare, will be covered. All faculty from the Undergraduate College, Z. Smith Reynolds Library, the Schools of Business, Divinity, Medical and Law Schools are eligible to apply. Stephanie Koscak, Rais Rahman,Thomas Frank, and Amy Lather the most recent past winners of the grant, would be happy to answer any questions about the program. Please submit a CV and a letter of intent describing the applicant’s current research project by March 18, 2019 to Kami Chavis, Associate Provost for Academic Affairs, 204 Reynolda Hall. The Provost’s Fund for Academic Innovation is designed to promote innovation in the curriculum or the learning environment. This fund places special emphasis on new or creative ways to use the curriculum or the learning environment to advance Wake Forest’s three core academic priorities: (1) building the best faculty of teacher-scholars in the world, (2) bringing the right students and mix of students to Wake Forest and supporting them appropriately while they are here, and (3) creating a vibrant campus with the kind of intellectual climate that capitalizes fully on our many opportunities for faculty-student engagement. Specific guidelines and the application for the Provost’s Fund for Academic Innovation may be found online and should be submitted to Amalia Wagner in the Office of the Provost. The first deadline is October 1, the second deadline is April 1. The Provost’s Fund for Academic Excellence provides 2:1 matching grants of up to $10,000 for endeavors that showcase and reinforce Wake Forest’s teacher-scholar ideal. Priority is given to proposals that facilitate cross-disciplinary intellectual engagement between faculty and students and those that recognize the academic excellence of our faculty and develop scholarly themes and emerging academic and pedagogical issues. Funding can be spread over one or two years. The fund will provide a match for speakers, workshops, artists-in-residence, tutorial grants and conferences that facilitate intellectual community at Wake Forest University by supporting research, teaching, curricular development and/or creativity. Specific guidelines and the application for the Provost’s Fund for Academic Excellence may be found online and should be submitted to Amalia Wagner in the Office of the Provost. The first deadline is October 1, the second deadline is April 1. 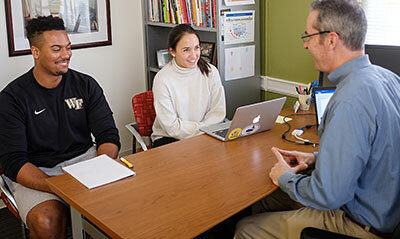 Provost’s Grant for Academic Excellence provides 2:1 matching grants up to $1,500 that support small scholarly, pedagogical and creative efforts that facilitate academic excellence and intellectual community at Wake Forest University. Faculty are invited to submit a 2 page proposal that: describes the actual project and its intellectual significance; details anticipated participants and commitments already secured; and explains goals and expected outcomes. The proposal must be signed by the dean and the applicant’s chair if submitted from a College faculty member. There is no deadline for this application process; awards will be made on a rolling basis. For more information contact Kami Chavis, Associate Provost for Academic Initiatives at 336.758.3852. This fund will provide 2:1 matching funds of up to $5,000 for speakers, artists, or performers whose visit to Wake Forest will help foster a vibrant campus and facilitate the intellectual and creative community at Wake Forest University. Any event supported by this fund should be open to students, staff, faculty, and the larger Winston-Salem community. Specific guidelines and the proposal request may be found online. To submit a completed application, please contact Amalia Wagner in the Office of the Provost. Limited funding is awarded for the fall and spring semesters to support linkages between Wake Forest University and International Scholars. These linkages may include invitations to international scholars for presentations, lectures, short research projects, or other types of collaboration. Limited funding is awarded for faculty development seminars each summer through CIEE (Council on International Educational Exchange). This funding covers all seminar fees with the faculty member responsible for transportation costs (e.g., airfare). Seminars are offered around the world and focus on a cross-section of topics and disciplines. Call for proposals. Limited funding is awarded for the fall, spring or summer to support an international conference or colloquium. The event should focus on global issues, bringing together scholars with an interdisciplinary and international perspective. The funds are intended to defray administrative and logistical costs associated with hosting the event, exclusive of accommodations and transportation for participants. Pilot Research Grants (PRG) provide seed funds to develop new proposals deemed likely to attract external funding. They primarily support recently appointed faculty; those entering a new research area in which they do not have significant external funding; and scholarly work in disciplines in which external support is limited. In all cases, the goal is to submit a proposal for external funding. Funds up to $10K can be requested for research supplies, maintenance of essential equipment, travel, or technical personnel. Applicants must demonstrate that travel, if budgeted, is essential to the project, and a departmental matching contribution or cost sharing to cover some of the travel costs is encouraged. Defrayal of professional society dues is not allowed. The project period is 1 year, with the possibility of a 1-year, no-cost extension. Full-time, tenured or tenure-track faculty and research support staff with adjunct faculty appointments on the Reynolda campus may apply. Nontenure-track faculty may be considered, if their appointments continue through the award year. The fall deadline is the third Friday in October, and the spring deadline is the third Friday in February. The Provost’s Fund for Faculty Travel provides supplementary travel support for faculty participating in an academic conference, a diversity and inclusion event, or other select professional events by presenting or discussing a paper/film/project or chairing a session. The intent of the fund is not merely attendance at a conference. Awards are available to all full time faculty in all schools and colleges. Approval by the department chair or dean is required. The department chair or dean may recommend use of these funds for other non-conference research related travel. Faculty members will be required to provide a brief description of research related travel. This is not a competitive fund and every effort will be made to reimburse eligible expenses. To ensure that funding is available, faculty should submit the appropriate Provost’s Fund for Faculty Travel Form (College and Library) or Provost’s Fund for Faculty Travel Form (Professional Schools) to the Office of the Provost by March 1. 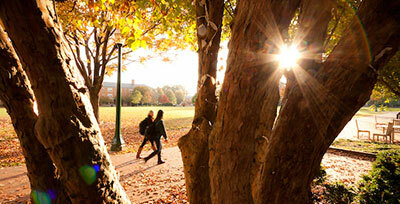 Faculty will be notified by March 15 if funding is not available. Submissions received after March 1 will be subject to funding availability. Since this is supplementary travel support, departmental funds should be exhausted before requesting funding from the Provost Office. The Provost’s Fund for Faculty Travel is limited to $1,000 per academic year for College and Library faculty. 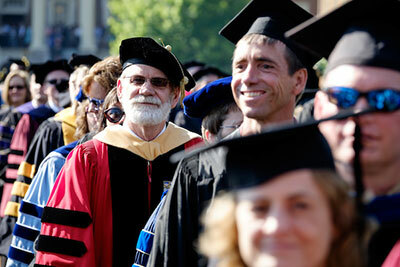 Faculty in the professional schools are eligible for a match of up to $500 per academic year. The Office of Research and Sponsored Programs (ORSP) has a variety of opportunities available to advance your research. 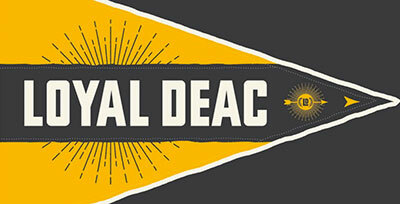 Sponsored by the Office of the Provost and the Teaching and Learning Collaborative, the Summer Course (Re)Design Grant assists faculty wishing to develop new courses or redesign already existing courses that pursue creative and evidence-based approaches to teaching and learning at Wake Forest. This program funds the development of up to six (6) courses over the academic year, providing faculty with either a $3,500 summer stipend (9-month faculty) or $1,500 in professional development funds (12-month faculty). This program is run as a faculty learning community, requiring 4-6 meetings over the summer with that year’s cohort. For more information about this grant, visit the Call for Proposals for the Summer Course Design Grant. The Office of the Provost and Information Systems are excited to announce the 2019 T-CART Grant Program. This program provides funding for Faculty summer projects to explore new and existing technologies with the potential to enhance teaching, scholarly, and creative work. T-CART includes two grants: the annual Summer Technology Exploration Program (STEP) grants, and the inaugural year of Summer WakerMaker Faculty Fellow grants for the new WakerSpace. For more information please visit the Information Systems website. Sponsored by the Office of the Provost and the Office of Online Education, the BOLD grant encourages faculty interested in developing high quality online or blended courses in support of the undergraduate mission. For more information about this grant, visit the Call for Proposals for the Blended and Online Learning Development (BOLD). If you are interested in developing an online or blended course, but would like to talk to someone from the Office of Online Education before starting the application process, fill out this Interest Form and we will reach out to you.